To ride a two wheeled vehicle has always been associated to freedom, dynamism and rebellion. Almost once in life we have been victims of this vehicle charme. Nowadays, motorbike is no more “only a passion”, but re­presents a true alternative to common vehicles for every­day displacements. This means that motorbike accidents could happend more frequentely. 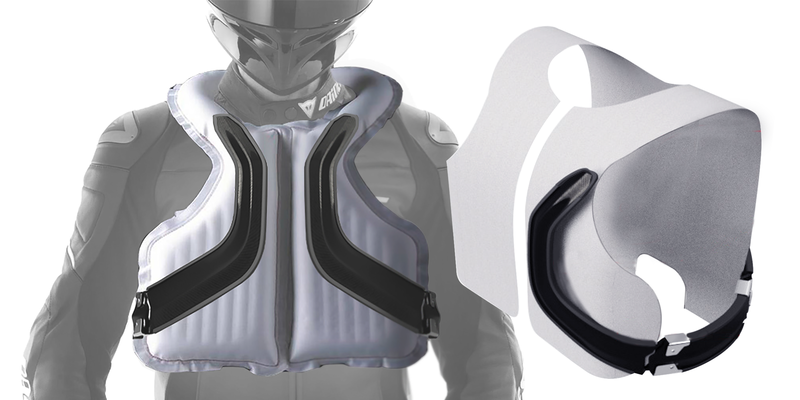 To reduce the crash effects on the motobiker body different safety systems have been designed, in parti­cular we will focus on body protectors, directely integrated in clothing. So the objective of this thesis will be to analyse the mo­torcycle world and the most frequent injuries reported in accidents, in order to properly define an efficient brief and propose a new protector to answer to effectve needs. Due to everyday use of motorbike, the purpose will be to try to find solution that can be both protective and comfor­table, as much as possible.